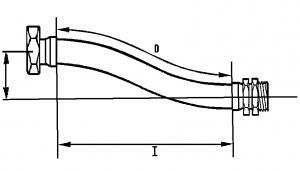 The intersection between the proper permanent bend radius (see permanent bend on hose specifications) and the desired offset “O” gives the developed length “D” of the hose and the installed length “I”. The length of fittings (see fittings specifications) has to be added to the developed length “D” to obtain the overall length of the hose. 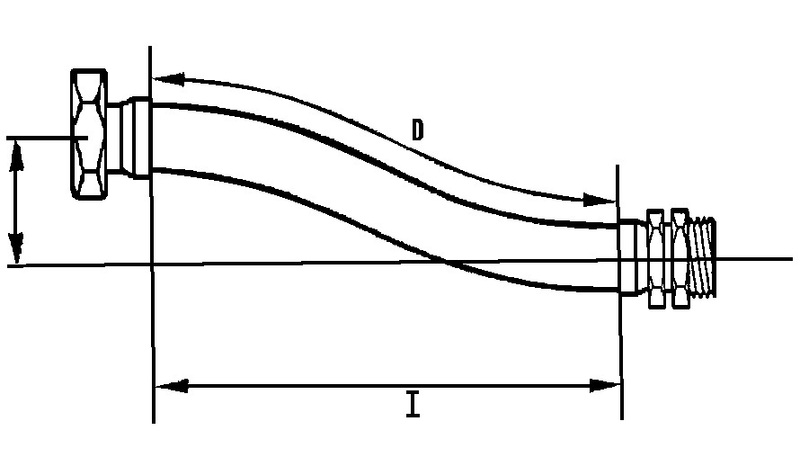 The intersection between the proper bend radius (see constant flexing on h ose specifications) and the desired offset “O” gives the developed length “D” of the hose. The length of the fittings (see fittings specifications) has to be added to the length “D” to obtain the overall length of the hose. The installed length “I” should be such as not to impose any stress to the hose in the extreme offset position. Take a look at our Offset Calculator!